One of a facility manager’s (FM) biggest responsibilities is maintaining a clean and safe workplace for your employees. Pests in the workplace can risk the health of your employees by spreading of disease or sickness. Pests like termites can cause structural damage, so pest control is a major concern for all FMs. In most cases, a pest problem can be quickly dealt with through the help of a qualified pest control company, but here are some tips on preventing pest problems. Your cleaning staff is already doing their part to maintain a clean environment, but your employees must also be doing their part to keep their workspaces clean. Uncleaned crumbs and spills on or around desks can be inviting to pests. Should you or your cleaning staff notice a problem, be sure to have a staff-wide discussion going over employees’ responsibilities in maintaining a clean workspace. If the problem persists, have private discussions with any employees who routinely cause problems. Sometimes employees leave open food containers either on their desks or in their drawers. 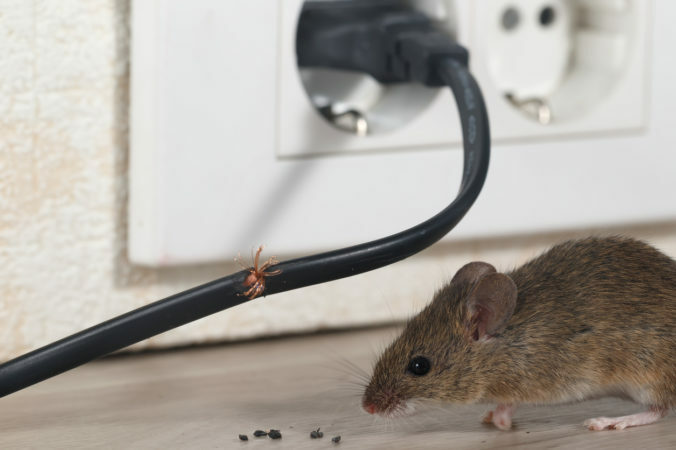 Make sure workers know that pest problems can result from this behavior. Food should ideally be kept in designated areas, but if you’re going to allow employees to keep food at their desks, it should be kept in sealed containers. Many pests are attracted to moisture, especially termites and rodents. Be on constant alert for moisture problems and leaks. Pests will use any opening to get in to your facility, so be alert for any structural damage, or things like external doors that don’t fully close. Pests love trash. While your cleaning staff should already be on top of making sure trash and recycling receptacles are emptied every single day, sometimes certain containers that aren’t used as often can get missed or not collected as often. Employees love to bring in plants to decorate their desks and offices, but these can often attract or be the source of hidden pests. All plants should be regularly checked for signs of pests. If you find yourself in a pest situation that has gotten out of control, be sure to seek the help of a pest control specialist. For more help on maintaining a clean and safe workplace, contact Vanguard Resources.